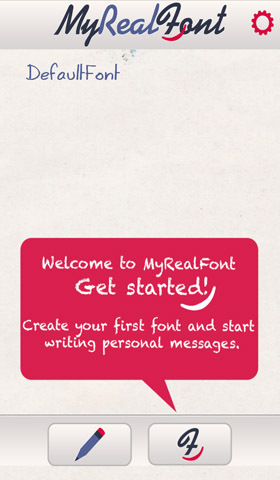 MyRealFont Pro is a very crafty Android app developed by the MyRealFont team. After reaching over a million downloads on the Google Play Store, this highly popular app gives android users with a creative spark a platform to design, create and work with your own handmade fonts. 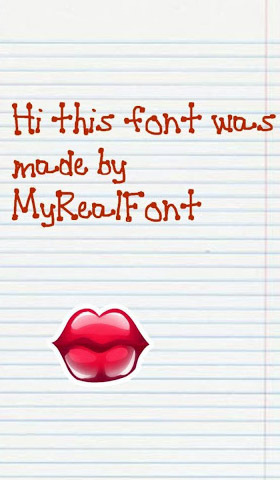 You can use these self created font sets within the app and apply to images and then send to friends. You can even export them to your PC and use then wherever you desire! 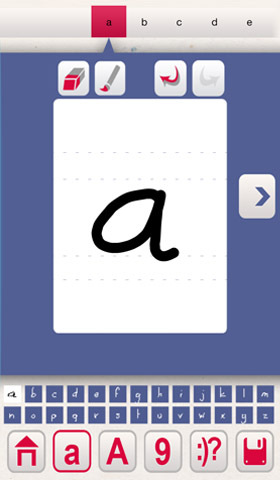 Once you have downloaded the app you will be directed to the lower left hand icon to start your font set. When you are in the main creation portal you are guided through each character in the alphabet (and numbers and special characters). Although this might sound tedious, it’s actually really fun! The touch responsive drawing pad gives you accurate representations of your gestures. The ability to play around with line weight to get the perfect creative font type is excellent. If you make a mistake, don’t fear; It’s easy to undo, erase or redo any character you create. You can save and later edit any font sets you have designed, so there is no need to feel rushed with your creativity. The interface of this app makes it incredibly easy to create, save, edit and then export your designs. Without a whole bunch of obscure menus or useless pages to distract you, it is very easy to navigate around the key functions of the app. 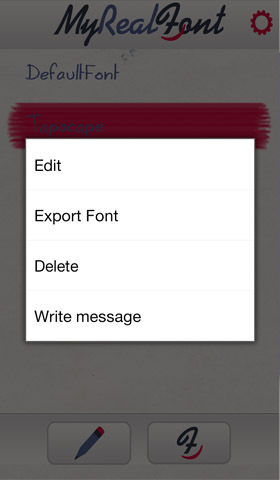 Once you are happy with your font set, from the main menu if you hold-touch over a saved font, you will be given the options to Export font or Write Message. In write message, you can then compose images and wallpapers with the font set you have created. I really like the ability to scroll through and select from a large number of quality pictures from Europe and Around the World that will stand out with your text creations. Up the top you have a panel of useful icons that will let you further customize your ‘wallpapers’ by inserting text, changing font color, size and inserting emoticons from their database.Once you’re happy with your image, you can then send it on to friends, save it to your phone and even publish it to instagram. The easy to use interface makes creating your own hand crafted font type incredibly fun. You don’t need to be an artist to make truly unique and personalized text creations. I really think the in-app functions that allow you to apply these fonts to your own snaps or their large database of images will give you more than enough fuel to set a creative fire in your heart. MyRealFont Pro is available on the Google Play Store for $0.99 and there is also an free version. This app is available on any device running Android 2.2 or newer and if you are a Galaxy Note 2 owner, there is a specific release optimized for your device. The app is also available on the Apple App Store and Windows Store.